Fennel: a nutrient packed green and white vegetable that looks like a celery crossed with an onion with a fringe of dill-like leaves but tastes like none of the three. A NUTRIENT POWERHOUSE! 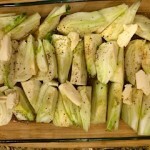 1 raw fennel bulb: 73 calories, 0.5 gms of fat, 0 cholesterol, 2.9 gms of protein, 17 gms of carbohydrate and 7 gms of dietary fiber, 27% daily potassium, 5% sodium, 6% Vitamin A, 11% calcium, 46% Vitamin C, 9% iron, 5% Vitamin B6 and 10% magnesium. 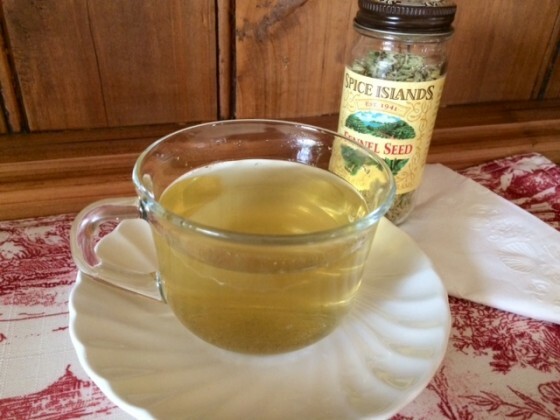 Also contains phosphorus, zinc, copper, manganese, selenium, niacin, pantothenic acid, folate, choline, beta-carotene, lutein and zeaxanthin, vitamin E and vitamin K.
Dr. Oz Recommends Fennel Tea for Constipation, Bloating, Gastrointestinal Upset and much more! Dr. Oz has often featured the benefits of fennel on his show and website because of the myriad and incredibly useful properties to improve your health. 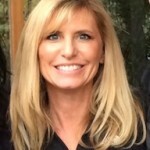 If you’re suffering from constipation, (and I am proud to admit that since going vegan that has not been a problem! 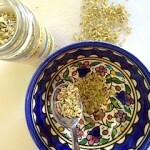 ), brewing some tea from dried fennel seeds may provide a gentle nudge in the right direction. It also has been reported to help flatulence and bloating. 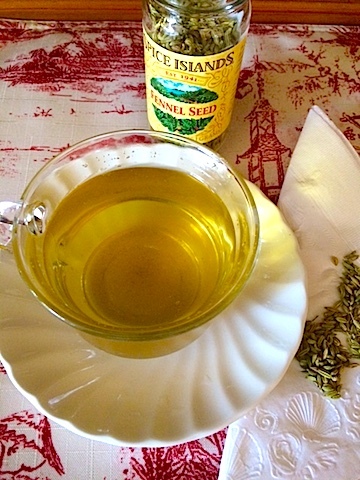 In fact, fennel tea has been used to treat IBS—-the volatile oil compounds in fennel seeds assist in regulating the the contractions of the intestines, helping to relieve intestinal cramps and trapped stomach gas. By Hand: place the seeds in a plastic bag and lay on a cutting board. Crush the seeds with a heavy rolling pin or mallet. 4) Steep mixture on stove for 5 -10 minutes. Strain. At the Supermarket: Is It Fennel or Is It Anise? 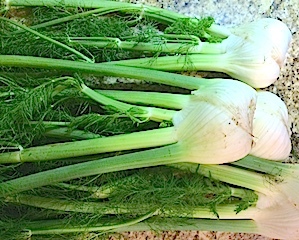 One easy way to get some of this fabulous fennel into your day is to, first, find it in your market—it may be masquerading as anise, which is apparently a different plant that is used mostly for its seeds but has a similar flavor. 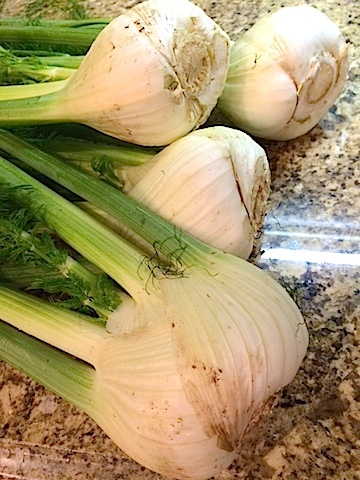 In America, markets seem to label fennel as anise sometimes (which is technically incorrect), but if you see the bulb at the bottom of the plant, then you’ve got fennel! 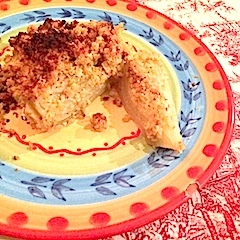 Ina Garten’s Wonderful Fennel Recipe: Veganized! 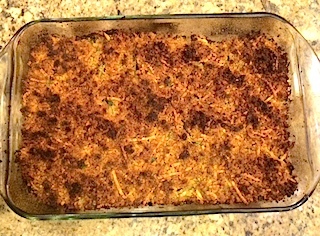 A wonderful chef, Ina Garten, aka the Barefoot Contessa, created a fabulous recipe for fennel called “Parmesan Fennel Gratin” and which I easily and successfully veganized. 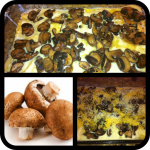 I endeavored to make this simple dish as a side dish for dinner and it was gobbled up! 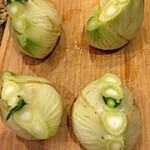 Remove the stalks from each fennel bulb and set aside. (It can be used for something else!) Trim the thin but tough layer off the hard bottom, discard. Cut the bulbs in half lengthwise through the core. Remove that white oval-shaped part of the core by cutting a V-shaped wedge, leaving the bulb pretty much intact. If the bulb layers separate, it’s ok.
Cut each bulb into 4 pieces, depending on the size of the bulb. Arrange the pieces, cut side up, in a gratin dish just large enough to hold them snugly in a single layer. Pour the vegetable stock and wine over the fennel, then sprinkle with 2 teaspoons of salt and 3/4 teaspoon of pepper. Cover the dish tightly with aluminum foil and bake for 45 minutes—check to see if the fennel is tender. Remove from the oven and raise the oven temperature to 425 degrees. Meanwhile, to make the topping: In a medium mixing bowl, combine the 4 tablespoons of melted Earth Balance vegan spread, the panko or bread crumbs, the nutritional yeast, the shredded vegan mozzarella cheese, parsley, lemon zest, 1 teaspoon salt and 1/2 teaspoon pepper. Sprinkle evenly on top and return to oven. Bake uncovered for 15 minutes and watch the topping brown. Be careful not to let it burn. Note: If you don’t love vegan cheese, you can eliminate the Daiya shredded mozzarella in the topping. Add some more melted Earth’s Balance to the topping mix and keep a close watch on it as it browns in the oven. 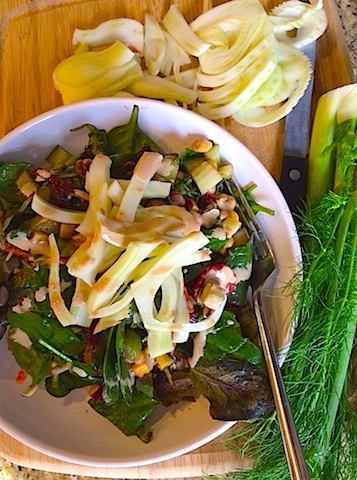 As a raw vegetable, fennel is wonderful to garnish salads with. 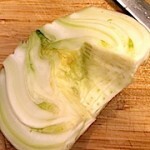 Remove the green on top and slice the bulb very thinly. 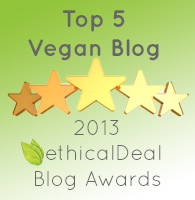 It provides a fantastic crunch and so many nutrients! Medical News Today: What are the Health Benefits of Fennel? I have been wanting to try fennel for so long but it always seemed too intimidating (don’t know why, but probably because we never ate it when I was young). But you totally made it look easy – and adding cheese? Oh, yum!